Riverside California's premier historic and architectural landmark. 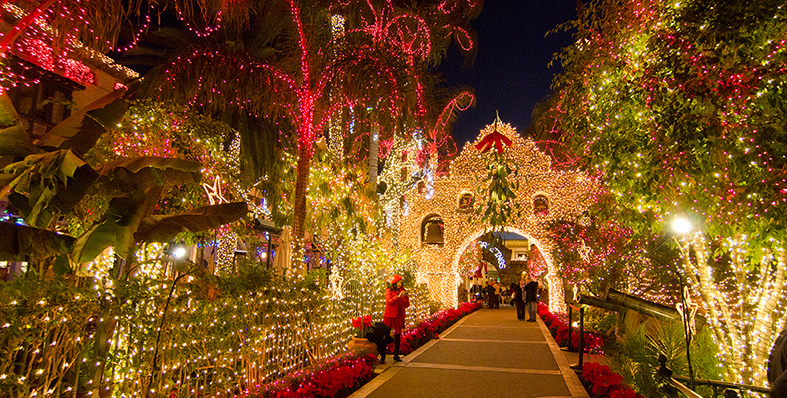 For 125 years the Mission Inn has been the center of Riverside, host to a number of seasonal and holiday functions, as well as occasional political functions and other major social gatherings. Pat and Richard Nixon were married in what is now the Presidential Lounge (although it wasn't a bar at the time), Nancy and Ronald Reagan honeymooned there, and eight other US Presidents have visited the Inn: Benjamin Harrison, William McKinley, Theodore Roosevelt, William Howard Taft, Herbert Hoover, John Fitzgerald Kennedy, Gerald Ford, and George W. Bush. Social leaders who have stopped at the Mission Inn include Susan B. Anthony, Henry Ford, Andrew Carnegie, John D. Rockefeller, Henry Huntington, Albert Einstein, Joseph Pulitzer, William Randolph Hearst, Hubert H. Bancroft, Harry Chandler, Booker T. Washington, Helen Keller and John Muir. The list of entertainers who have toured the Inn is extensive. Lillian Russell, Sarah Bernhardt and Harry Houdini were early visitors to Frank Millers hotel. Other guests have included actors such as Ethel Barrymore, Charles Boyer, Eddie Cantor, Mary Pickford, Ginger Rogers, Bette Davis (who was married at the Inn in 1945), W. C. Fields, Clark Gable, Cary Grant, Spencer Tracy, Fess Parker, James Brolin and Barbra Streisand, Raquel Welch and Drew Barrymore. Other celebrities such as Jack Benny, Bob Hope, Glen Campbell, Merle Haggard and Tears for Fears have stopped by. I loved the Mission Inn pictures and your comments about the Inn's history. It has been such a part of my life, but this is the first time I have such a collection of pictures. I enjoyed having lunch with you, Ben and Leslee.